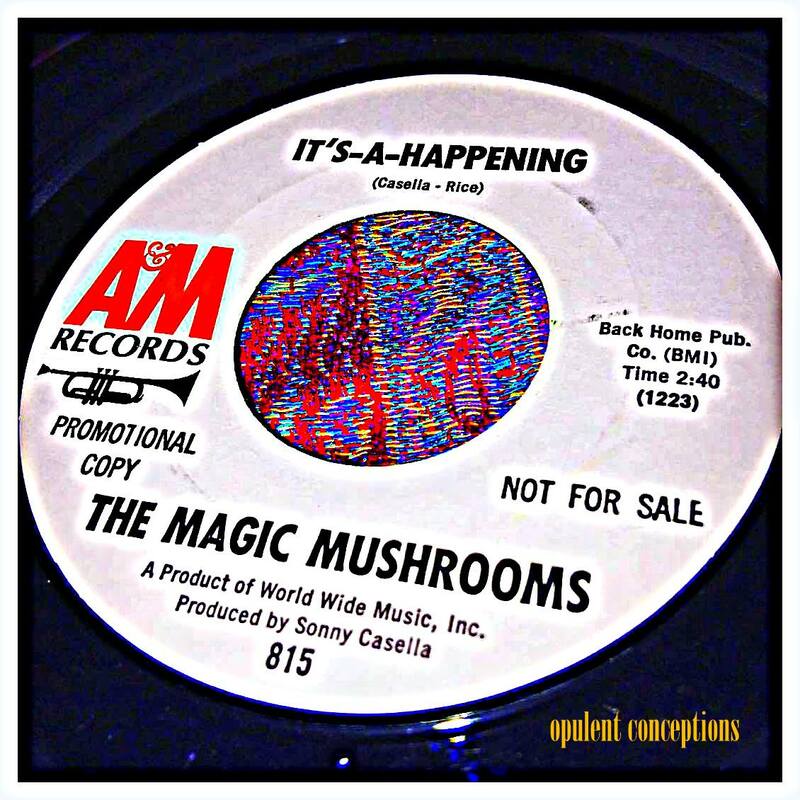 I can still remember the first time I heard "It's-A-Happening" via the double Nuggets album back in the 80s. Wow, it really knocked me out. What a wild and far-out sound, a psychedelic noise of the which I'd never heard before. It has now been established that The Magic Mushrooms formed their band whilst students at the University of Pennsylvania, PA. They somehow got a deal with A&M Records and released this amazing 45 that shifts from Yardbirds style rave-ups to fuzztoned acid recitations. A mushroom hangs above the ground." The scoop on the mysterious The Magic Mushrooms was divulged on "Garage Hangover" some years back. Follow the link for information direct from band members. It seems that they recorded enough material for an album but were sadly dropped from the label when Herb Alpert of A&M Records decided that magic mushrooms was not a good image for the label who, at the time, were releasing records by clean-cut pop groups and performers.